Cultural traditions blended with fresh ingredients keep food offerings in Arkansas exciting. 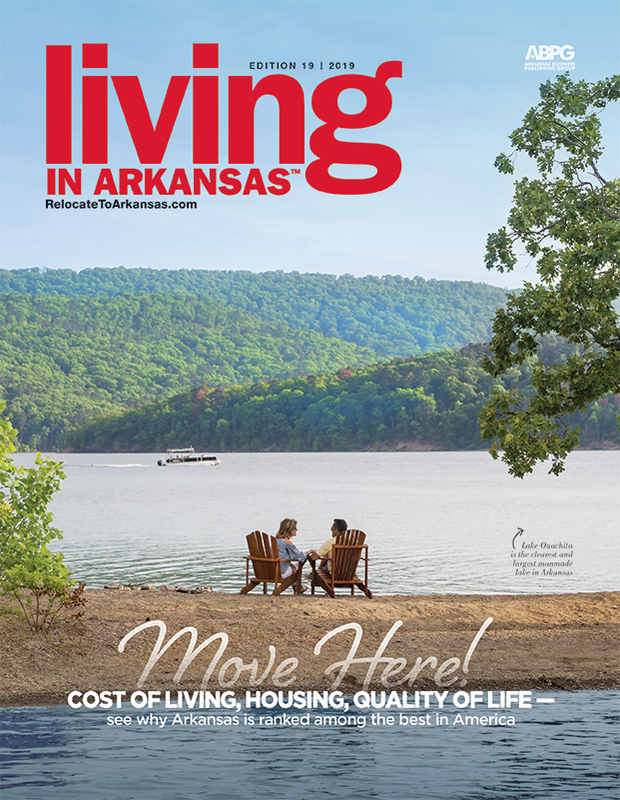 A cuisine based on community, family and a rural way of life – it’s the cornerstone of Arkansas cooking, but it’s not the limit. In a state with a cultural menu that includes chocolate gravy, fried pies and stewed chicken and dumplings, innovation is taking over the kitchen, and new ideas are blending well with seasoned traditions. Arkansas cooking grew out of where we live. The state boasts uniquely diverse geographical features that encourage different types of crops and harvests. In the southeast, soybeans and rice reign supreme, while smaller regions feature bountiful and sought-after fruit and vegetables, such as Bald Knob’s strawberries and Cave City’s watermelons. Catfish farming ponds and chicken houses dot the land throughout the state. Fresh trout and bass grace the waters of the White River and its tributaries. Our food also grew out of who we are. Cuisine developed from the meals we shared: potlucks at church and picnic lunches shared with family, barbecue dinners and fish fries, spaghetti suppers and bake sales. Our food heritage comes from a history of breaking bread together. Several restaurants statewide boast delectable menus, even in small towns like Johnson, a northwest Arkansas city with a population of slightly more than 3,000. Famed chefs Emeril Lagasse, Wolfgang Puck and others are frequent guest chefs at the country club in Pine Bluff, a city about 45 minutes from Little Rock with a population of around 50,000. Smaller cities like Hot Springs also cater to folks with discerning palates, but for the most part, Little Rock and the surrounding metro area serves as the state’s capital of cuisine. Downtown Little Rock’s Capital Hotel serves traditional regional fare with an upscale twist, the vision of executive Chef Lee Richardson, who brought his experience from the kitchens of high-end restaurants in the French Quarter with him when he relocated from New Orleans after Hurricane Katrina. The creations range from grilled fish tacos on corn tortillas with habañero jam to sorghum roast duck with cannellini beans, poached pear and cabbage. The city’s culinary repertoire also includes Mary Beth Ringgold’s trio of restaurants, Cajun’s Wharf, Capers and Copper Grill, all of which use produce grown within the state. Each restaurant specializes in a different sort of cuisine, with the venerable Cajun’s Wharf featuring fresh seafood specialties and an extensive wine collection and the newer Copper Grill dishing up gourmet selections with an upscale downtown attitude. The list goes on and on, according to Chef Todd Gold, director of programs for the Pulaski Technical College Arkansas Culinary School. The school got its beginnings in 1995, becoming what it is today in 2002. Gold says Arkansas will only continue to grow into a culinary destination like New Orleans or New York City. The regional vice president of the National American Culinary Federation, who sampled fare from around the state on a trip, has told Gold how impressive his culinary tour was. “I think [the cuisine] is bringing a lot of people to our state and they’re realizing that it’s a great little secret,” Gold said. Besides the ingredients, there’s one more Southern aspect at Arkansas restaurants – the hospitality. “I think the cuisine is less formal,” Harrington said, “as traditional dishes are based largely on at-home or community experiences,” creating a relaxed environment perfect for mixing good friends with good food.